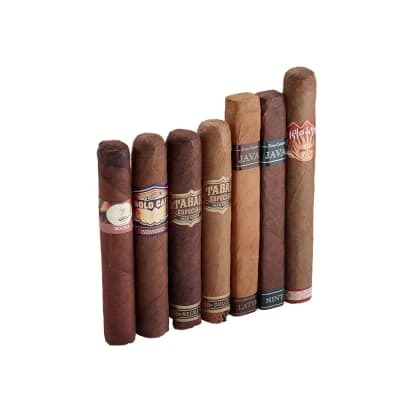 The best of flavor, before you even brew a cup - though a coffee would pair smashingly with any of these 7 cigars. 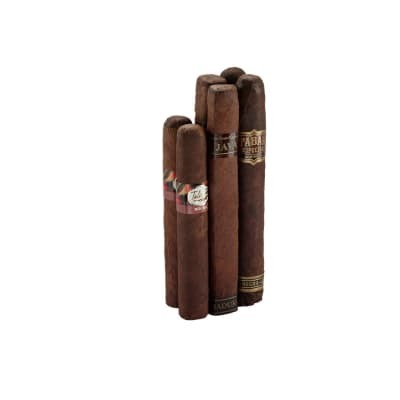 A generous helping of smokes by way of Drew Estate, La Aurora, Rocky Patel and Plasencia, each is infused - some with a heaping dash of hearty Central American coffee, some with a set of warm, sweet flavors - like smooth caramel and crisp mint - that complement a cup beautifully. 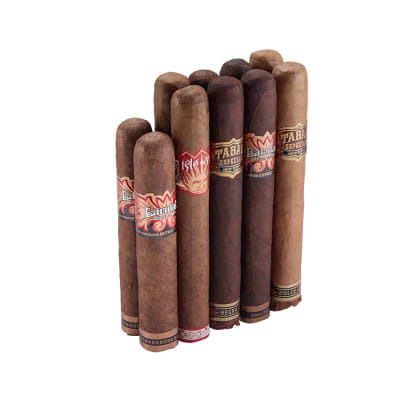 Round out your regime with this affordable sampler that features 7 of the top infused cigars on the market - order now! 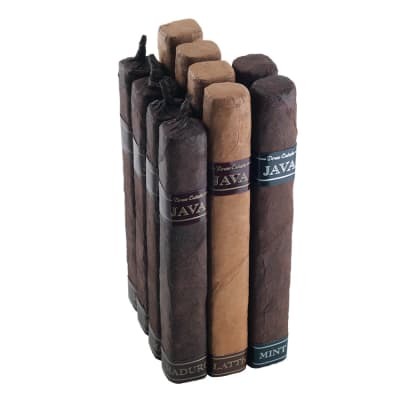 The two java sticks are adequate but the 3 others are not worth the price of the sampler. 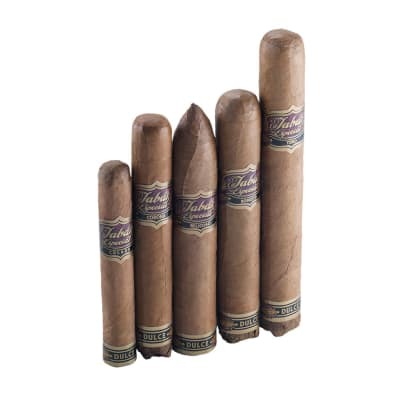 I'd advise just buying the sticks individually.